Home school parents, especially those just beginning, sometimes want to bring 'school' home. This seldom works. As a homeschooling method, it is usually disastrous. Schooling at home should be about learning at home, not necessarily the same way students at school learn. While some 'book learning' is vital, there is more to home schooling than doing workbook pages or reading a book. One teaching method that works well is using games to teach or reinforce lessons. Some home school parents play Yahtzee with their children several times each week. The game helps children learn their addition and multiplication facts. A Google search for the phrase "educational games for children" will bring up a long list of possibilities which home school parents can review and select. Monopoly or The Game of Life help children to learn about money and also teaches or reinforces math skills. Battleship helps students learn how to think and reason. Scrabble helps students learn to spell. 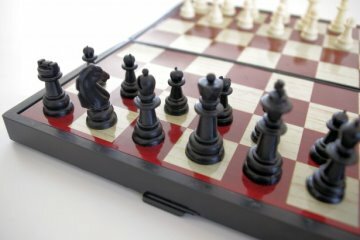 Chess helps students learn strategies and thinking skills. Go Fish or Old Maid help children learn how to match and how to think through winning strategies. 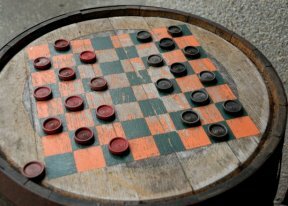 Even checkers is a learning game, since students have to think and plan in order to win. A dice game, where dice are thrown and children have to either multiply, add, or subtract the numbers that land face up, is also helpful with learning math facts. Dice can be purchased with 10 sides, 0 through 9. Depending on the skills being learned, the 0 can be 0 or can be used to be a 10. There are also 20 sided dice available that can take the game to higher levels. Students enjoy these games, and several age students can play at the same time. Use games to teach or reinforce lessons! Older students do multiplication or division, while the younger students do addition or subtraction. Passing the dice around to each student in turn, the student throws the dice then answers the question posed by the dice. If the answer is correct, the student earns 5 points. The first student to get to 50 or 100 wins the right to choose the main dish for dinner, or some other prize that works well for the family. Mancala is a type of game, though many people use the word mancala to mean a specific mancala type game. It is one of the oldest games on record, and the origin of the word is Arabaic. There are more than 800 games known as mancala games. This is a fun strategy game that works for all ages of students. The more advanced the student, the more strategic the game. Have even more fun and make your own mancala game as a school project. Computer games available online, such as the games available www.bigbrainz.com (not an affiliate link--the basic games are free for home use) teach addition, subtraction, multiplication, and division skills are also popular with kids. For very small children who need to learn their colors, a small bag of Skittles or M&Ms works well. The children take turns drawing one candy and identifying the color. If they are right, they get to eat it, if not, the parent or older child working with them gets to eat it. While this is not a game you want to play every day due to calories and sugar, it is one that small children enjoy. These games help students learn, and give respite to the beleaguered home school parent who is trying to juggle the education of several children of differing ages. Home school is difficult to manage if you are trying to do exactly what the public school does. A much more natural approach is to alternate 'book learning' with activities that help cement that learning in the minds of the children. Games not only provide that benefit, they also help bond families together. After all, playing together is a great way to enjoy each other and build lasting happy memories. What games do you play in your homeschool learning activities?